Brackett was an illustrator for magazines such as McCall’s, Redbook, and Good Housekeeping as well as a painter, who worked primarily in oils and focused on landscapes and portraiture. He designed eight U.S. postage stamps. 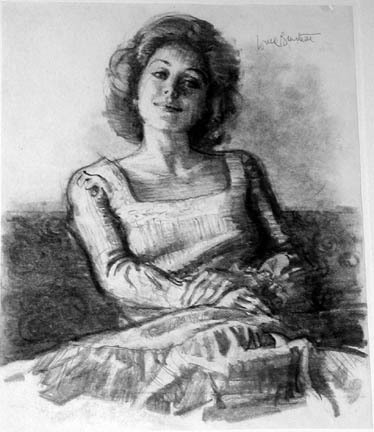 This drawing is a portrait of his wife, Dolli Tingle, with whom he sometimes collaborated. Brackett, Ward, “Portrait of a Young Woman,” Westport Public Schools Digital Collections, accessed April 25, 2019, https://collections.westportps.org/items/show/1060.